Any time Halloween is on a Saturday is a huge win-win in my book. We don’t have to deal with hyped-up, overtired children who were ready for bed long before trick or treating began, and we don’t have to worry so much about being up early the next morning for school. Plus, it puts All Saints Day on a Sunday. 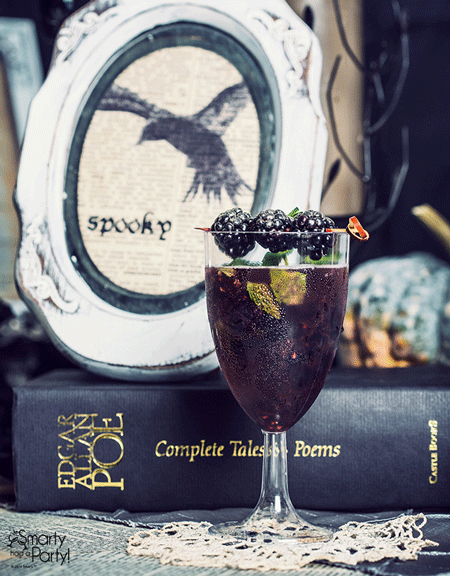 That sounds like it’s time for some spooky Halloween cocktails! 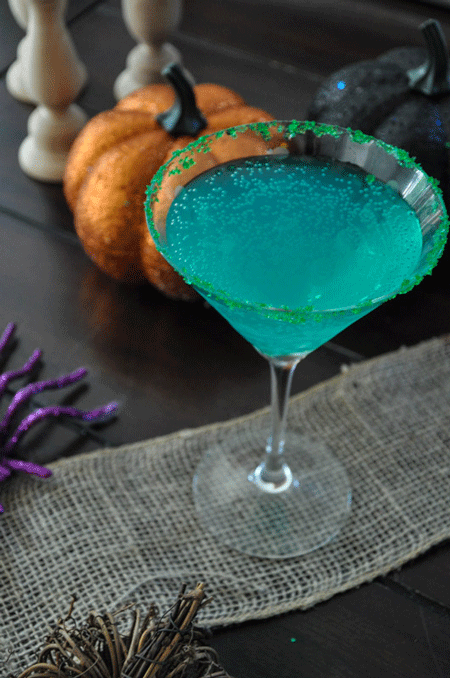 This Halloween, I’m actually looking forward to pulling out the cocktail shaker. 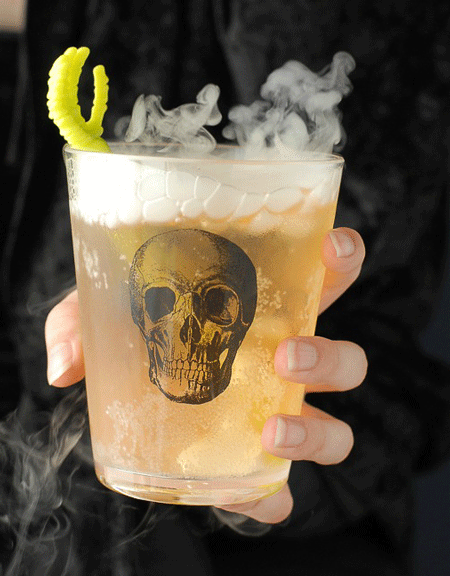 The Husband had so much fun drinking my Mojitaritas this summer, that I’d love to stick a fun and gory drink in his hand this Halloween. Since I’m still nursing the baby full-time it’s going to be mocktails for me, but who cares as long as we’re having fun! 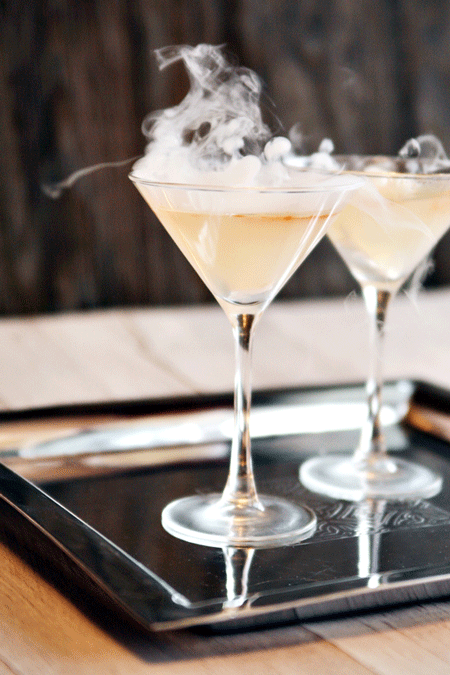 This Witches’ Brew Martini from Suburble looks nice and light; which could be the perfect way to avoid an accidental early evening from a tired Husband. 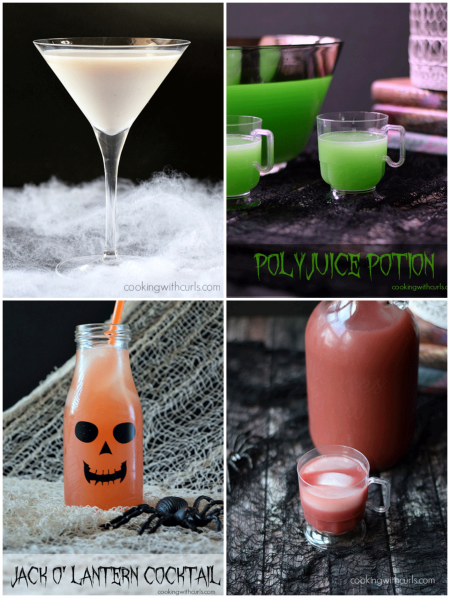 Cooking with Curls brings on a lot of the fun with these Liquefied Ghost Martini, Polyjuice Potion, Jack O Lantern Cocktail, and Witches Brew Cocktail recipes. 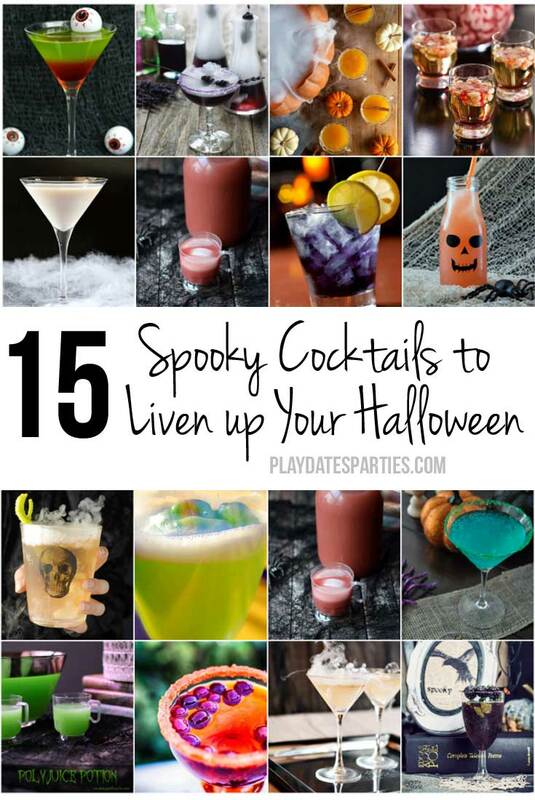 Though you know T and L would both be begging for some of the Jack O Lantern Cocktails! 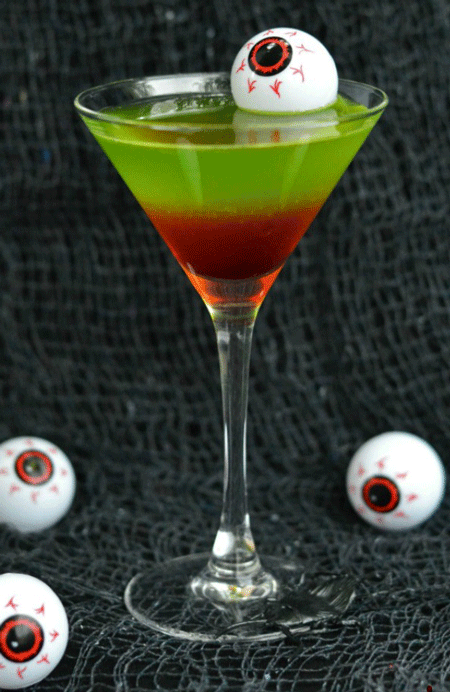 Layered drinks are always fun to see, and the Zombtini from Totally the Bomb.com is so much fun with the green and red combo. 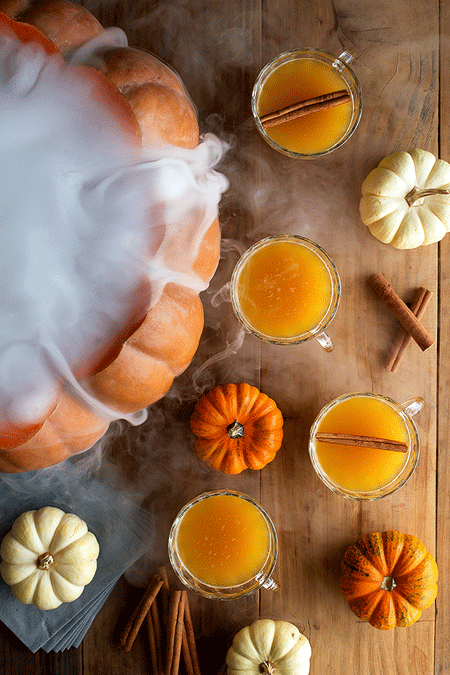 I’ve never heard of a punch that includes real vegetables, but this Halloween Pumpkin Punch at Honestly Yum includes actual pumpkin puree. I just have to wonder what the texture is like.. If you click over to any post, it better be this one. The story behind the La Llorona (The Weeping Woman) at Muy Bueno Cookbook is horrifying, but definitely worth the read. The cocktail sounds pretty tasty too! 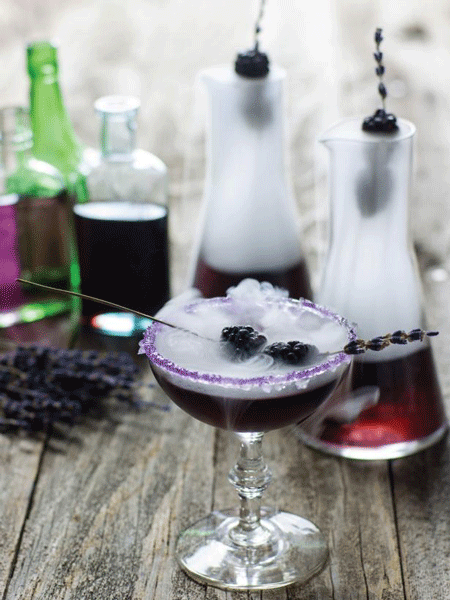 HGTV’s Mr. Hyde sounds so interesting with an unexpected combination of herb syrups. I wonder how I could make a virgin version of this drink? I never would have thought to put Hard Cider and Bourbon together, but Boulder Locavore has no fear in combining the two (and more!) in the Grave Digger Cocktail. 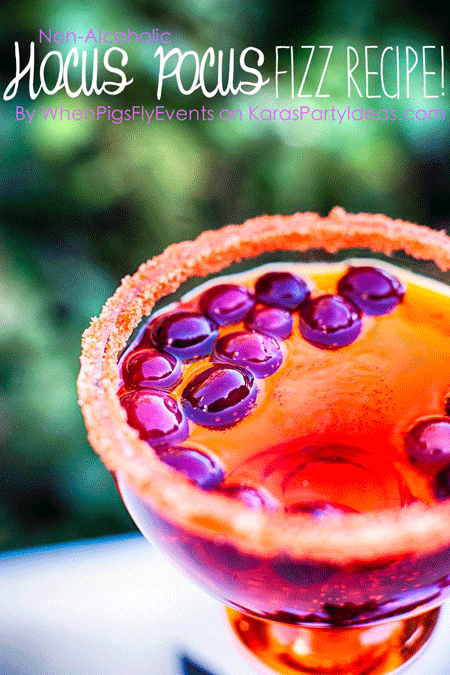 I love the fact that this Hocus Pocus Fizz featured at Kara’s Party Ideas can be made with or without liquor. We might just have to make a pitcher of the virgin recipe for me and the girls. The Husband can just add some rum after the fact! 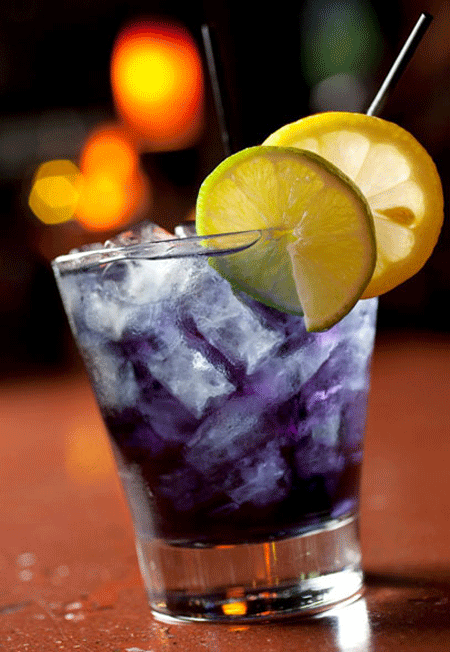 Then again, Guest of a Guest put together this Purple People Eater cocktail that has me singing the old Halloween song. That would be a fun Halloween costume to put together, wouldn’t it? Of course I couldn’t resist including a cocktail called The Raven. Are the girls too young to read Poe? (found at Smarty Had a Party) Perhaps we should just start with some Shel Silverstein. 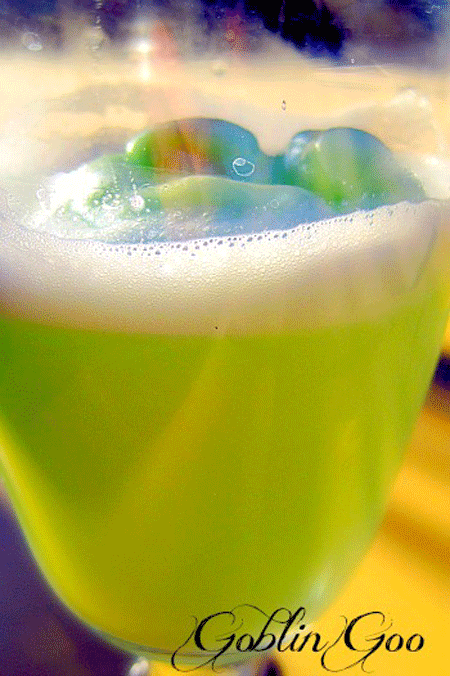 At first glance Goblin Goo looks like your typical kids’ party punch. But Cork, Fork, Passport adds a special little twist for the adults. 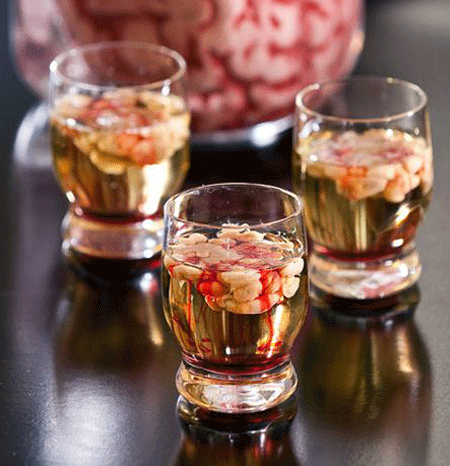 And if you’re more interested in something small, gross looking, and really creepy, check out the Bloody Brain Shooter from Ministry of Alcohol. I’m not sure I could take this shooter…could you? 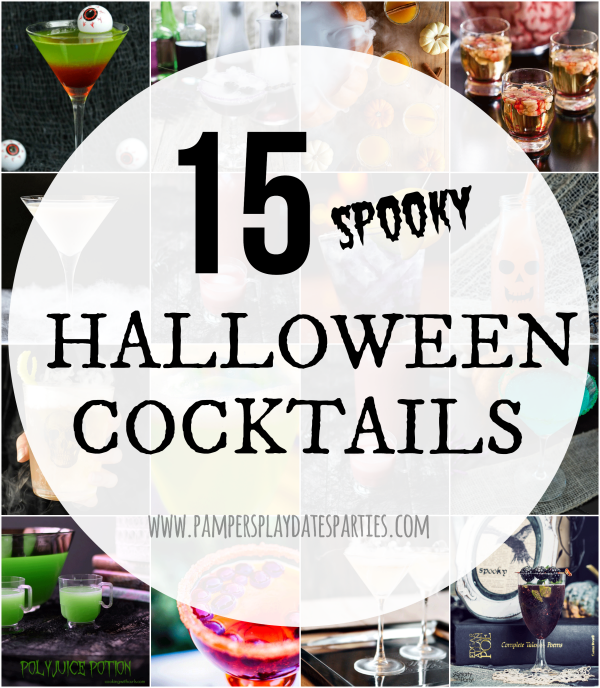 Who knew how many spooky Halloween cocktails are out there? I’m definitely looking forward to making the most out of the fact that Halloween is on a Saturday this year…how about you? What would you name it for a Halloween twist?